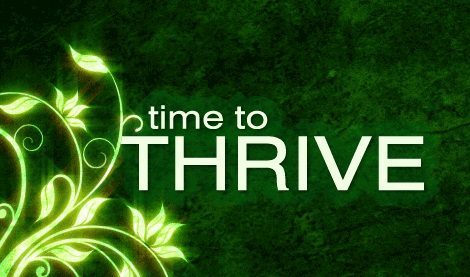 Processing The Grief After Narcissistic Abuse – Move Through, To Thriving! Hello everyone, and thank you for joining me. After the end of a narcissistic relationship, we often feel like a death has occurred, even in relatively short-lived relationships. The healing and recovery process and time required is unlike anything most of us have been through previously, and is certainly UNLIKE any breakup we have experienced before. There are several reasons for this, and we will discuss a few of these in this article. However long it takes you to ‘come out the other side’, you CAN get there of course, but it is prudent to have some knowledge as you enter the healing process. The path is long, winding, with many ups and downs along the way; expect many layers of emotions and upsets to your life during this time. This is OKAY, and to be expected. NOT putting pressure on yourself is important; it will take as long as it takes, and with knowledge, education, and dedication to YOURSELF and your recovery, you WILL move through this time. You are in mourning, over the loss of the relationship. I’m starting with the obvious here; OBVIOUSLY we are at the end of this toxic relationship. We have entered / started the recovery and healing journey. You are going to mourn the ACTUAL relationship, as the ‘entity’ it was all to itself. This means being without the comforts of the relationship, even if they were few and far between. You will miss and mourn the events, the gatherings, the special times. It must be noted that there ARE good times with a narcissist; they just are NOT the staple of the relationship, nor are they (always) authentic. We can laugh, enjoy our time with the narcissist, and even really REALLY feel true love – on our side. We can love those good parts of them, those good times, however the abuse ALWAYS (and I mean, always) returns. As the relationship progresses, the good times become less and less with the abusive cycles occurring more frequently. This is just the nature of an abusive relationship. Added to that, often the ‘good times’ are used as manipulation to hook us again, after our attempts to break off the relationship. Having said this, there WERE good times, there were parts of the relationship that will now be missed. We MOURN those things, those losses. There are just little special things that go along with any relationship; pet names, a touch here and there, a special smile, a laugh, a special token of love, that bond two people – that only THOSE two people share. Sadly, those special ‘things’ meant way more to us than they would EVER authentically mean to an abuser. We must mourn those things, too. We mourn the loss of the person we THOUGHT we had fallen in love with. This is HUGE everyone, so sit up straight, take a deep breath, and let’s get into this very important point. The ABUSER who shows themselves further along in the relationship is the REAL PERSON – we just don’t know it in the early days/weeks/months of getting to know this new person. We may have glimpses; little statements that don’t seem kind, little jabs at our looks or events we have in our lives, but nothing too over the top to make us say “whoa – what is THIS?” If we were shown the TRUE narcissist in the beginning, NONE OF US WOULD HAVE GONE ANY FURTHER! We are NOT shown the genuine abuser in the early days; they are master actors and actresses, performing their ‘hearts’ out for their audience, in this case, US. In those early days, we are treated with so much positive attention, so much outgoing affection (usually) and overwhelming amounts of time spent together, we may truly feel we have hit the ‘love lottery’. I know I felt this way, to be sure. THIS IS DONE ON PURPOSE – TO HOOK US. So, having said all of this, the person WE fall in love with DOES NOT EXIST. Let me say that again. The person (who is only what the abuser pretends to be in the beginning) WE fall in love with – DOES. NOT. EXIST. Underneath the fraudulent ‘persona’ created to capture our hearts is the real person – the narcissist – the abuser. This fact is one reason it is SO HARD to end the relationship; we simply CANNOT understand nor accept the initial ‘wonderful’ person doesn’t exist. This is the CRUELEST facets of a narcissist relationship; we literally fall in love with a NON-EXISTENT person. Loss of who we were prior to the abusive relationship. Post abuse, we are different. There is just no other way to state it. Our lives, our hearts, our souls, our very Universes have been shaken, stirred, jumbled, and thrown about in such harsh ways, we often don’t even FEEL like ourselves. The abuse takes its toll – of course it does – and rightly so, affects nearly every part of who we were before the relationship. We have lost our trust in others. We have lost the notion that people are ‘good’, much of the time. We have lost our easy going natures, we have lost the desire to do good for others, we have just LOST so much of who we WERE. My personality has changed. My willingness has changed. My outward love for ‘all’ has changed. I accept this, and am determined to come out stronger than ever, however I KNOW I have changed. When giving your all to someone who AT FIRST seemed to be your dream come true, only to then learn your ALL was abused, leads to deep destruction. You will likely never return to who you were, however you CAN rebuild your strength. Rebuild your confidence. Reclaim the personal power that has been stripped from you. Yes, you can and WILL rebuild and reclaim, and it is my heart’s desire that you will come out stronger than before. You will be changed however, and this is a HUGE part of the grief that must be processed. Loss of innocence / ignorance about WHO walks among us, in our lives. This is another biggie, folks. Oh how ignorant I was, thinking that most people, most of the time, throughout most walks of life, were GOOD people. Of course, in our lives we come across people who we don’t mesh with, people who aren’t enough like us (and vice versa) to become a friend, or more than a friend. We may have worked with people who are brutally cut-throat in the business world, or so competitive that to be around them was a constant headache. We may have worked with people who just love to spread gossip about every little thing they think is going on with ‘such and such’. This is NOT what I’m talking about here. This is to be expected of course – people ARE people after all. What I AM talking about here takes into account the very disastrous, dangerous, and debilitating experiences and nature of the narcissists (those with Narcissistic Personality Disorder, or NPD) and the sociopaths/psychopaths (those with Anti-Social Personality Disorder, or ASPD) we become involved with (again, we don’t know WHO they truly are at first). After a relationship with a narcissist (narc), we LOSE our innocence that people are inherently good. We lose the ignorance that once colored our blind hope and trust of most other people. We lose our incredible ‘child-like’ hope and assumption that people are JUST GOOD! We lose our innocence. We lose so so much hope. We have been devastated. We have fallen in love with an abuser, unbeknownst to us at first, and we pay dearly for the experience. Innocence is lost. Here is the GOOD news (yes, there is some!! ): That innocence and ignorance played a part in our becoming involved with the narc or the ASPD in the FIRST PLACE. Yes, I had the thought that my partner was ‘too good to be true’, but I BELIEVED that what I was receiving was the TRUTH! Gone may be the innocence, but gained is the knowledge and perspective that TIME and PATTERNS of behavior are to be USED to develop trust, to develop authentic reciprocity of care and love. PLEASE join me in the development of the more careful, more discerning, less quick to act on ‘what seems to be love’ mind-set moving forward. It will save both you and I from repeating this experience. Finding out about multiple partners or a quick replacement after the end of the relationship. This statement goes to the core of WHO the NPD or ASPD is, in reality. Remember, narcs cannot be without attention because of their very fragile internal sense of worthlessness (that they overcompensate for to no end). They MUST have attention, adventure (not the good kind), and busy-ness to feel ALIVE. They do not process the world normally nor in a healthy manner; as we can barely breathe after our relationship, make no mistake, they are already staking out their next victim(s). THEY MAY PRETEND to be upset, and pretend to also be devastated to those they know, even close family members, but they are NOT MOURNING YOU. They are mourning the LOSS OF ATTENTION. The loss of having someone at their beck and call. They mourn the loss of the ‘servant’ they have cultivated in us, from the very beginning. The narc is mourning the loss of NOT HAVING TO BE ALONE! This is why after even a very significant relationship, even a marriage, NARCS MOVE ON SO QUICKLY. Narcissists do very poorly alone; you will often find extended families, multiple careers, multiple partners, and they will even have multiple people lined up for the ‘just in case’ scenario – the expectation that their current relationship will be ending. There is ALWAYS someone else in the wings, and sometimes (oftentimes) this will be an ex. In my case, my ex had multiple partners at one time, multiple dating sites and profiles, and prior to me entering the picture – just SIX MONTHS prior – two of the women found out about each other, and it ended in disaster. Each woman thought SHE was THE ONE, because the narc TOLD them this. THIS IS A NARCISSIST’S PLAYBOOK, THROUGH AND THROUGH. Please know in your heart and soul, the speed with which the narc moves on has everything to do with THEM, and nothing to do with you. They simply CANNOT be alone. The loss of the DREAM of the relationship we thought we were building. Perhaps with your partner you discussed travel plans, retirement plans or career plans, plans for where you will be living, how you will be living, things you wanted to experience together, adventure plans, or even just regular daily plans about meals, picnics, sunsets, and all the rest. Somewhere along the line however, especially in the early months of the relationship (when we mostly think everything is wonderful), we may start DREAMING of the life we want to build with our partners. In a normal relationship, these dreams can indeed come true! In a toxic / narc relationship however, these dreams will not be coming true. First, we simply cannot live normally, happily, nor healthily in an abusive relationship, so we MUST get out, and stay out. Secondly, the narc or ASPD will tell you ANYTHING to keep you hooked. Plans will be DISCUSSED, but oh, when it is time to book the trip, book the airfare, don’t be surprised if after all those plans and discussions, the narc ‘baits and switches’ on you. This happened to me multiple times. We had discussed plans for a trip, had researched lodging online, picked out the suite we wanted, talked about amenities and services, and then – when it came time to book the airlines – NOPE. Not happening. An excuse of “this is not such a great time” or something of that nature was given…. and of course, I did not make a big deal of it. If my partner tells me this is not a good time, then okay, we’ll find a different time to make our ‘dreams’ come true. The issue of course – is that those dreams NEVER WILL come true (or at best, very very rarely – just to keep you hooked). This is what a NARCISSIST does, and this must be accepted. Dreams and plans that are discussed and even somewhat put into place together, are very unlikely to come true; they are a means to an end to a narcissist – a way to keep you THERE, interested, and hanging on in HOPES those dreams will come true. It is likely that most of us postponed making a decision to GET OUT of the relationship, just because we didn’t want to lose the idea, or possibility, of all those hopes and dreams coming true. They never would. So, here we are friends. Please know the grief, the grieving cycle, the start of the recovery and healing process is UNLIKE anything you’ve been through before. It just IS. Having said that, self-care, support, counseling, and time will be of benefit to you. It will take work to get through the healing and grief stages, it will. Don’t rush the process. Rely on those friends who may truly understand. Not all will; most won’t understand the depth of the PAIN. They may mean well, but don’t fault them for the platitudes they may send your way; they are truly trying to help, but just cannot understand. It is likely no one can TRULY understand unless they too, have been through a relationship with an NPD or ASPD. Find the support. Find a counselor. Stop talking to those that are not able to understand – their inability to understand is not their fault, but frustration will creep in if you continue to seek support from those not able to genuinely give it. Self-care is paramount here; make SURE you are taking good care of yourself. Recovery and healing will take as long as it takes, and with knowledge, education, and dedication to YOURSELF and your recovery, you WILL move through this time. I have, and you will too. Best, L.A.
I’m nearing the 4 year mark of being out of the relationship and am just in the last few months feeling like it wasn’t all my fault. It’s a slow, slow, slow process even when you have support. But, there is light at the end of the tunnel. Hi Gaughran, and thank you for your comment. Yes, indeed – it is one of the longest journeys, isn’t it? I’m so happy to read you are getting there, and yes, even support cannot replace the TIME necessary for full processing of the abuse and the after-effects. Research is important, full knowledge about personality disorders key. From there, acceptance of who they truly are helps. FULL acceptance, without placing our own hopes of who they COULD be onto them. Stay the course, stay the course. Every minute of every day. Thank you for being here.